As part of the 2012 Spotlight on the Past Archival Reading event Saskatoon mystery writer read a portion of early gay activist Peter Millard’s memoir Or Words to That Effect. Bidulka credits the coming out of Millard and others as laying the ground work for the acceptance of his Russell Quant mystery series featuring a proudly out and gay Saskatoon detective. While noting the difference in social acceptance from the time of Millard’s 1974 account to the release of Amuse Bouche, the first Quant novel in 2003, Bidulka reflects that the most common reaction to public coming out, in both his and Millard’s case, was either support or more often indifference. Watch the reading by clicking here. 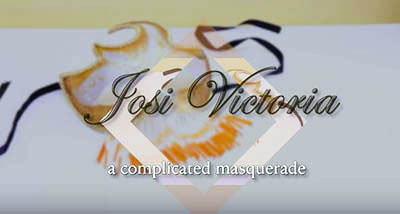 Moose Jaw artist Ken Dalgarno’s first film is a one hour documentary about the transition of his 50 year old friend, born Greg Martin, into the woman Josi Victoria Martin. The film dispels the stereotype that most trans women begin as overly feminine cross-dressing boys. Greg had been an avid sportsman playing football as a U of S Huskie and Saskatoon Hilltop before a long and successful career as a firefighter in Moose Jaw and British Columbia. The movie is structured as a long interview , with Martin describing early life as a masquerade – an overcompensating outward masculinity being the guise for the inner femininity that Martin always felt. Watch a clip by clicking here. 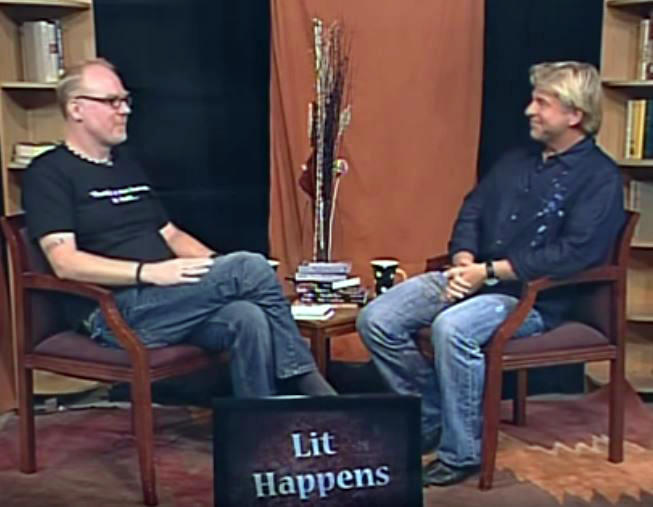 Lit Happens is a weekly cable TV showcase of the literary world of Saskatchewan. An early host was novelist Wes Funk. 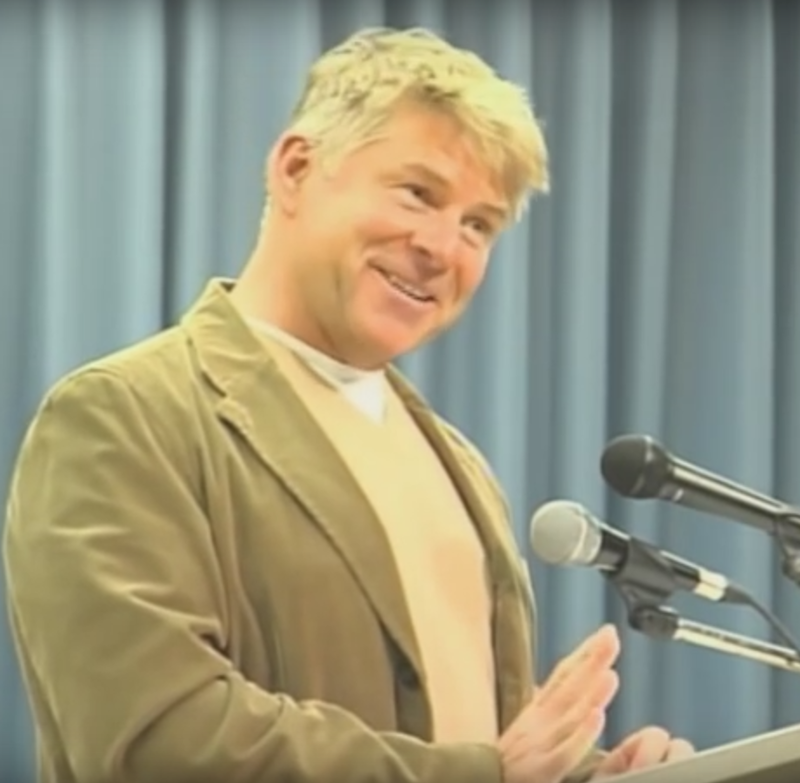 In a 2012 episode he interviewed fellow Saskatoon writer Anthony Bidulka about the genesis of his writing career and the international success of his Russell Quant mystery series. In June 2016 the Band Council of the Beardy’s and Okemasis First Nation, north of Saskatoon, supported the first Pride Parade and Celebration on a Saskatchewan reserve. The groundbreaking event included a special greeting from Prime Minister Justin Trudeau. The successful event was repeated in 2017 when similar events were also held in the northern communities of La Ronge and La Loche. Watch the segment by clicking here. Inside a dark bar on a busy Regina street exists a community that is outrageous, loud, flamboyant, and entertaining. But why do grown men and women dress up in flashy costumes and lip synch songs to an audience night after night? This forty-five minute 2006 documentary by David Geiss examines the world of Saskatchewan drag queens. Watch Queen City by clicking here. 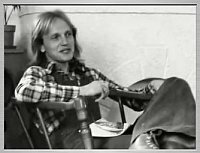 In the fall of 1975, at the University of Saskatchewan, Doug Wilson placed an ad in the Sheaf, the student newspaper, seeking to start a campus gay group. This action served as the catalyst for a dramatic unfolding of events, shaping the future of Wilson's life. This biographical docudrama is a tale of activism, poetry, politics and love. Watch Stubblejumper by clicking here. "Tykie's Comin Out" is featured on Step Right Up, the third CD recorded by Saskatchewan singer-songwriter- pianist Jeffery Straker. It was inspired by a real person with whom Straker went to school from K-12 in small town Saskatchewan. Straker performs frequently in the province and has toured nationally and internationally. Step Right Up was the #5 selling album in Saskatchewan in August 2010, ahead of both Justin Bieber and Lady Gaga. He's sure neither of them cared. 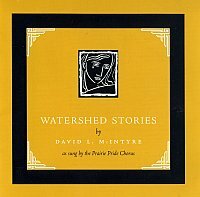 “Small Town” is one of sixteen songs comprising Watershed Stories, a cycle of songs composed for the Prairie Pride Chorus by its musical director David L. McIntyre. The songs were based on the personal journeys of members of Regina's LGBT community chorus. The work quickly became the chorus’s signature piece and has been performed to much acclaim in several Saskatchewan communities as well as in Toronto, Calgary and Vancouver. In September 1975 Doug Wilson, a University of Saskatchewan graduate student in Education, placed an ad in the campus newspaper seeking others interested in participating in a university gay organization. He was promptly suspended from his duties supervising student teachers in the public school system by the Dean of Education with the backing of University President R. W. Begg. A highly publicized legal and political battle to overturn this decision and to establish an antidiscrimination policy on campus rocked the University for over a year. The Doug Wilson Case was one of the most important campaigns of Canada’s early gay rights movement and is recognized as a turning point for attitudes towards homosexuality at the University and across the province. In 2005 Dacian Productions included this Doug Wilson Vignette (Quicktime, 6.3 MiB, 3:15) in their 100 Saskatchewan Stories, a major documentary series produced in conjunction with the province’s centennial. Sisters With A Difference. The Quinlan Sisters 1981-1984. An introduction to gay writer and performer Peter McGehee's a cappella satiric revue. The act began in Saskatoon before dreams of fame and fortune beckoned the three sisters, McGehee, Fiji Robinson and Wendy Coad to Toronto. The film was produced by Robinson as a contribution to her ongoing project the Resurrection of Peter McGehee. 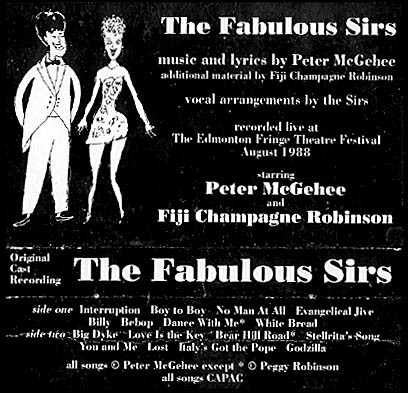 The Fabulous Sirs, Peter McGehee and Fiji Robinson, continued the a cappella act The Quinlan Sisters that they had created in Saskatoon with Wendy Coad in the late 1970s. 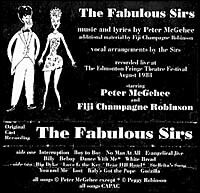 McGehee's satiric lyrics and clever vocal arrangements contributed to the popularity of both cabaret acts with queer and arts audiences. Used with permission of Fiji Robinson and the estate of Peter McGehee. Featuring staff, leaders and campers at the 2nd Camp FYrefly held at Lumsden Beach in August 2010. Camp FYrefly Saskatchewan is an annual educational, social, and personal learning retreat for sexual minority and gender variant youth (lesbian, gay, bisexual, trans-identified, two-spirited, intersexed, queer, questioning, and allied). It focuses on building and nurturing their leadership potential and personal resiliency. The event is presented by committees of dedicated volunteers in partnership with the Faculty of Education, University of Regina and the College of Education, University of Saskatchewan. Jack Saddleback is a Cree Two-Spirited trans man from the Samson Cree Nation in Hobbema, Alberta. He is an award winning artist interested in exploring topics of gender, race and sexuality. At the U of S he served as the USSU Pride Centre coordinator and USSU Vice President of Student Affairs. In 2015 he was elected the USSU President for 2015/2016 in which position he helped to amend the University’s discrimination and harassment policy to explicitly include gender identity, gender expression and two-spirit identities. In November 2011 Saddleback began a video series The T Effect with Jack chronicling his life experiences and the changes he has noticed since commencing testosterone hormone therapy. To see other episodes of the T Effect click here. Leah Horlick is a writer, poet and spoken word performance artist originally from 'the land of natural glitter (wintry,wintry Saskatoon)'. She presently lives in Vancouver where she is pursuing a MFA degree in Creative Writing. Riot Lung is the title poem from her first published collection issued by Thistledown Press in 2012. The performance was recorded at the 2011 Vancouver Poetry Slam. 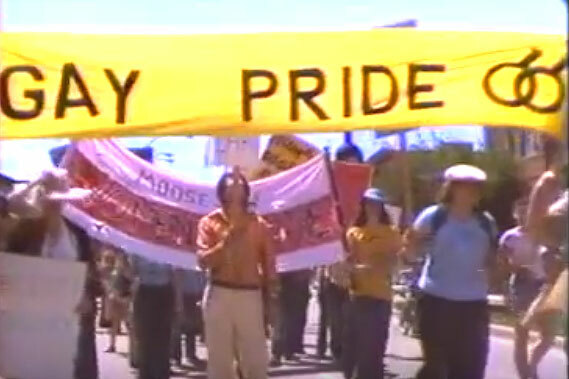 This rare early footage documenting community responses to American anti-gay crusader Anita Bryant’s performance in Moose Jaw in July 1978 has been preserved by the Provincial Archives of Saskatchewan and with its permission posted on YouTube. It was originally produced by the Saskatchewan Association on Human Rights perhaps for cable television. It features interviews with leaders of the response including Saskatoon gay activist Doug Wilson about the situation of gays in Saskatchewan, scenes from the protest march and speeches at the rally in Crescent Park. Watch Gay Liberation by clicking here. Several branches and units of the University of Saskatchewan Library hold AV materials of LGBT interest. Two Spirits (2009) is one title in a growing collection of DVDs in the Reserve Stacks of the Murray Library being developed by the Women’s and Gender Studies Liaison Librarian. Public Performance rights have been obtained for these titles. They may be signed out for limited periods. Click here for catalogue records of Murray Reserve titles. Included in the Neil Richards Collection of Sexual and Gender Diversity in the Special Collections unit is a copy of Forbidden Love: The Unashamed Stories of Lesbian Lives (1992), the National Film Board’s groundbreaking exploration of lesbian history in Canada. Most of the other older films in the Richards collection were produced in Canada and many of them are currently only available in the VHS format. Click here for catalogue records of Richards Collection titles. "Homosexuality is assuredly no advantage, but it is nothing to be ashamed of."